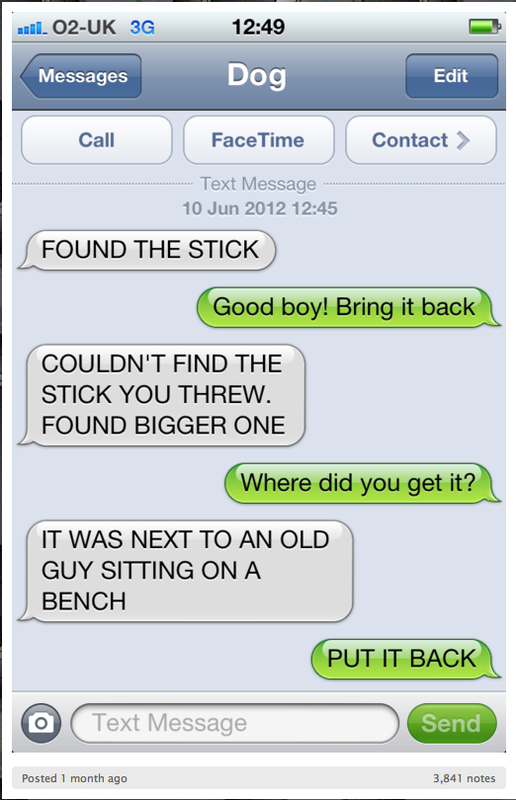 If you’ve ever wondered what could happen if your dog got its paws on your iPhone, here’s the hilarious answer in the form of a blog collecting texts between a British pup and his master. You’ll laugh so hard, you’ll fall out of your chair and onto your dog’s bed. This entry was posted on Tuesday, July 10th, 2012 at 3:12 PM. It is filed under Blog. You can follow any responses to this entry through the RSS 2.0 feed.